In Spring 2016 Julian Dunkerton purchased the 210 acre site, beside the picturesque Dowdeswell Reservoir, previously known as ‘The Barlands’. RRA Architects were commissioned to design a scheme to develop the area into a destination spot combining outdoor activities for visitors of all ages with the opportunity to connect with nature. 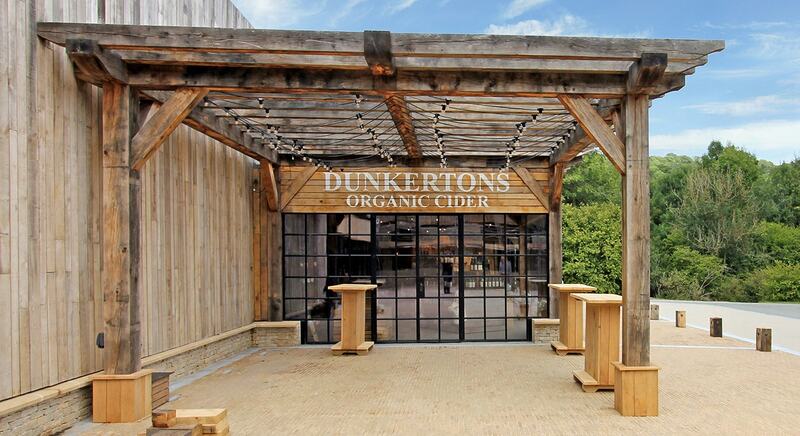 The Dunkertons Cider scheme is just the first phase of this exciting ongoing development. Dunkertons Organic Cider, founded in 1980 by Ivor and Susie Dunkerton, was quickly established as exceptional; winning award after award in the following years. 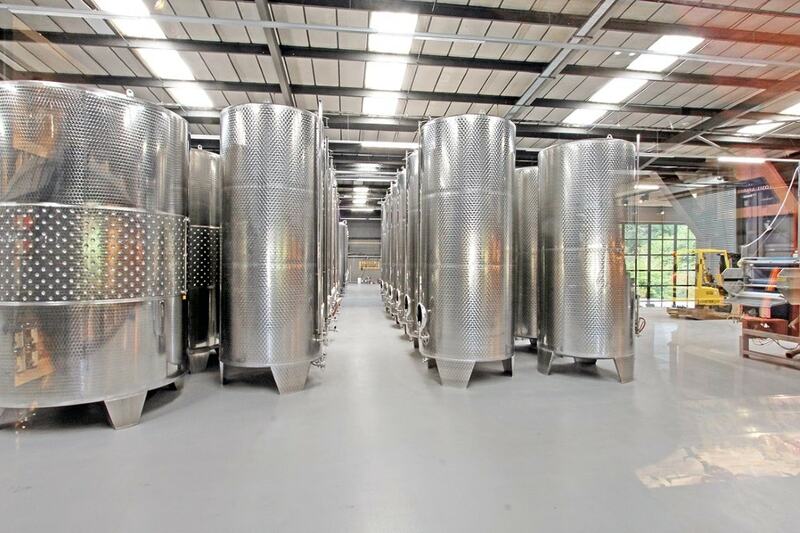 The highly successful brand outgrew the original press and bottling plant in Herefordshire and relocated to the new, bespoke production facility in Gloucestershire in 2017, with the retail counter following in August 2018. The brief for the production facility was to work with the existing building. RRA’s design approach was to improve the aesthetics by softening the large portal frame construction. The introduction of Cotswold stone walling and large format timber cladding boards is sympathetic to the context of the setting within the Area of Outstanding Natural Beauty. The on site assembly of materials reflect an element of craft and echo the traditional values akin to Dunkertons Cider and the vision for Dowdeswell Park. The new extension which houses the retail counter follows the same principles with a traditional oak framed pergola together with retro-industrial, ‘Crittall’ glazing. Cotswold stone walls act as a visual plinth to the larger building ensuring continuity across the structure. 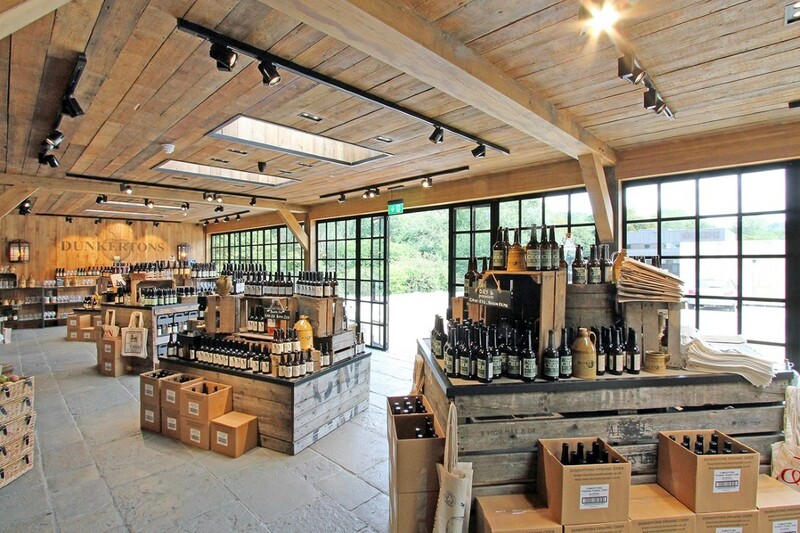 Internally the building features exposed oak framing together with recycled timber from disused vats & barrels. Rooflights increase the light, with a glazed wall allowing for interaction and visibility into the production hall. Standalone stone planters define an external breakout area and provide a green buffer between the car park and the building. Seasonally responsive planting is planned to enhance the bio-diversity. The scheme has been carefully designed to feel as inviting as possible with elements reminiscent of semi-domestic cider mills of yesteryear, whilst allowing for the functionality of Dunkertons output and the increasing production targets. The resultant aesthetic is one of refined rusticity, entirely bespoke to the setting, yet quintessentially of the English landscape.